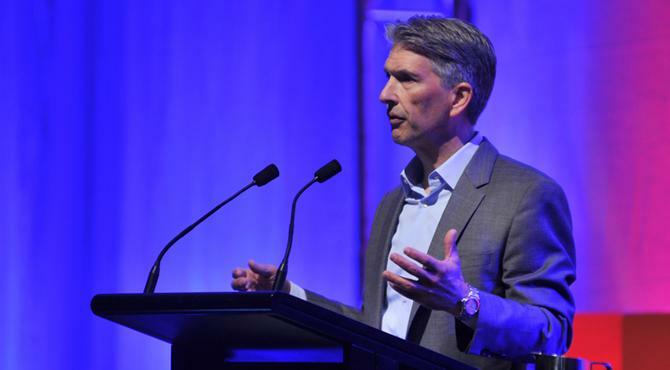 Speaking at the ADMA Global Forum, Rogers said CMOs are increasingly being recognised as the key drivers of business and revenue growth, taking on the role of transformer across organisations today. He pointed to recent research undertaken by Forbes across 80 countries and 10,000 professionals, in partnership with the Association of National Advertisers, Spencer Stuart and Adobe, which found 40 per cent of all industries see the marketing function as a strategic partner for driving business growth. Forbes’ research investigated the key differences between ‘over-performing’ and ‘under-performing’ marketing organisations, and found 67 per cent of those in the ‘over-performing’ category have KPIs clearly linked to business performance. This compares to 47 per cent of those in the ‘under-performing’ category. The research also looked at the importance of data-driven marketing. It found 72 per cent of ‘over-performing’ marketing teams were making decisions off the back of data insights, compared to 45 per cent of ‘under-performers’. In addition, marketers in ‘over-performing’ teams boasted of stronger collaboration with IT, HR and finance teams than their more average peers. Rogers advised CMOs to move fast, be agile and utilise big data to reorient, adapt and iterate marketing activities and customer interactions on the fly. “We’ve gone from the marketer as super creator, full of supercharged energy... to the person who manages a complex ecosystem of marketing channels,” he commented. As a way of detailing the make-up of a transformational CMO, Rogers outlined 11 key characteristics apparent in leading modern marketing chiefs. Top of the list was transparency, a vital ingredient in a world where customers know more about your brand than you know about them, he said. Second is real-time response, and utilising data to constantly, test, iterate and measure interactions. Agility is another important trait if marketers are going to be able to adapt and continually reinvent their customer interactions, Rogers said, while networks is about having both a personal network, as well as using your own networks to create products and services. Storytelling includes creating a brand newsroom and providing content on the fly across all channels that are in constant motion, Roger said. CMOs also need to focus on KPIs. Orchestration is vital if marketing leaders are going to run these highly complex teams and drive innovation, while relevance is about having the right marketing message in the right context, something that requires data and technology platforms, Rogers said. Measuring everything and leveraging all data to improve marketing effectiveness is another vital characteristic of a transformative CMO. To illustrate this point, Rogers said 52 per cent of ‘over-performing’ marketing organisations are actively measuring their efforts against business growth, compared to 35 per cent of ‘low-performing’ organisations. Experiment is about constant iteration and innovation. This also requires recognition that it’s ok to fail, Roger said. As an example of how brands are responding to the need for innovation, he pointed out Target, AT&T and Dell are all investing in centres of excellence for innovation to drive digital disruption in their own organisations. Roger’s final characteristic was ROI, and having a clear path to measuring marketing ROI. While digital disruption has taught many organisations that there is no end goal in innovation, that doesn’t mean CMOs won’t be held to account if they don’t start showing the fruit of their transformational labours. Rogers said the timeframe allocated to transformation is typically correlated to the CMO’s tenure, which recent industry research shows is now sitting at about 45 months. This is up from the low of 23 months recorded in 2006. “Typically you have two years to show what’s going to happen – you’ll have your 100-day plan, the next year to evangelise this to the business, and the year after that to prove the results to the organisation,” he claimed.